Temporary work sites and emergency facilities make use of air conditioning rentals across different industries. Rental systems are convenient and economical in many situations. The challenge with all of the systems available is finding one that delivers in performance and efficiency. Alpha Energy Solutions is an expert in HVAC and our technicians can work with you to identify a rental system that works. We understand that all situations are unique and therefore we can offer selection. As a knowledgeable supplier we deal with all of the major manufacturer brands. 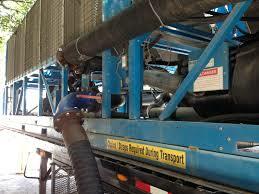 In fact, we handle air conditioning rentals of all sizes. Regardless of whether you need a large system or a smaller unit, we can guide you in the right direction. Ultimately the decision to invest in air conditioning rentals is yours, however knowing that you have a source for information is comforting. HVAC is a large investment, even if it is for a temporary project. Gathering as many details ahead of time will help you make an informed decision about your machinery. When it comes to air conditioning rentals, there are a few important items that you should look for. Knowing where exactly to begin in your search for rental equipment can be overwhelming. If you have been tasked with sourcing air conditioning, do not despair. The following tips will provide some insight into some important steps in embarking on your search. Determine what type of unit you need. Air conditioning systems vary in size. It will help to know how the unit will be applied to your project. Consider how much space is available. Before settling on an air conditioning unit, you should determine where you would like it placed and if there is enough space available. Knowing the measurements of your location and your potential unit will be helpful so that the machine actually fits. In certain cases, cooling needs will take place outside in temporary worksite or emergency shelter versus within a building. Select what type of cooling method you require. Air conditioning can be complex and while it may seem like cooling is simple, machines perform the act of cooling through different processes. Efficiency standards matter, ensure that you have reviewed any requirements outlined by your facility or work site. Alpha Energy Solutions can help you find a rental system with ease. Contact us to learn more.